Touch Of Belle : Nail art Review! I love painting my nails and adding a bit of nail art to my nails.. we have all been there, we think something will look great and it turns out not quite exactly how we wanted it! Nail art have come up with these cute nail designs that are so easy to use and look great! They come in little stickers and all you have to do is peel them of the sheet and place them over your painted nails.. what could be easier than that! In each pack there are over 60 individual stickers, My favourite are these super cute bow ones as they look fab with a French manicure or even just a pale pink! The nail art packs are available online from http://www.boots.com/ and from the boots shop. I cannot get enough of nail art, Nail Polish! Every color you could possibly imagine from neutral tones to bright colors. I Absolutely LOVE them!!! They are such a great quality for great prices too! The brush is great and the perfect size to cover the whole of the nail. 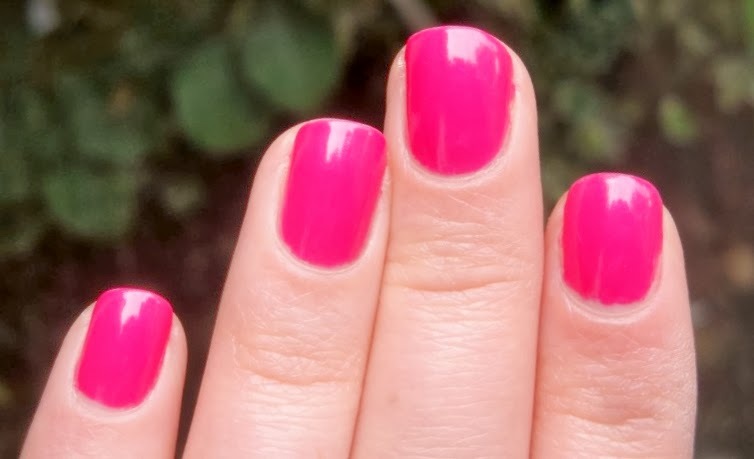 When I first saw this nail varnish I just fell in love with the colour, it’s a really nice, warm pink that stands out when its on your nails. I found the best way to apply the polish is to put a clear base coat, then this nail art polish and then you can either add a top coat to add a slight gleam or just leave it as it is! Whenever I paint my nails I always end up with a smudge or they end up cracking within a few days but I really liked this, the polish with a base coat and top coat lasted around 10 days and with just the base coat lasted 7 days which is pretty good. I would recommend both these products to someone who wants wacky nails and easy to do nail art designs! Thank you Lovely :) I will check the post out now and do the award! Thank you I love pink to and this is such a lovely shade of Pink!